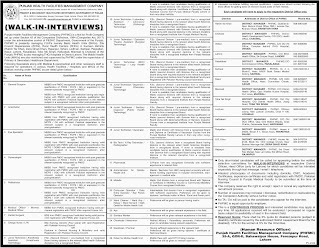 Punjab Health Facilities Management Company PHFMC Jobs March 2019 is offered by the organization of Dawn Newspaper JobsLahore JobsPHFMC JobsPunjab Health Facilities Management Company JobsPunjab Jobs. The Working hours for Punjab Health Facilities Management Company PHFMC Jobs March 2019 is 8 hours a day and 40 hours a week. So, Punjab Health Facilities Management Company PHFMC Jobs March 2019 is a fulltime job. 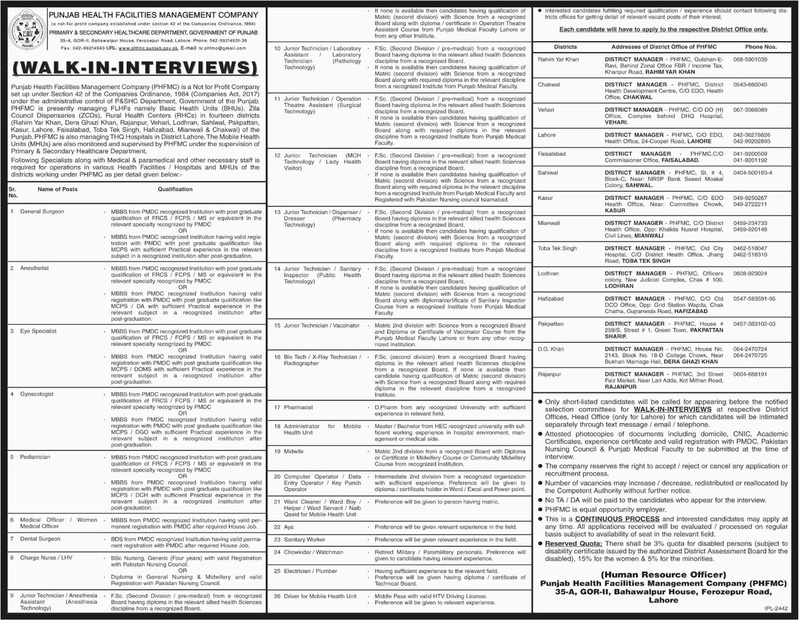 The advertisement of Punjab Health Facilities Management Company PHFMC Jobs March 2019 contains complete information about job specifications, job description etc. which is published in Different Newspapers dated March 21, 2019.